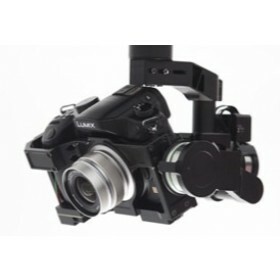 DJI Zenmuse Z15 Camera Mount Sony NEX 7. The 3-axis Sony NEX 7 Zenmuse Z15 camera gimbal system has been designed for professional filming, aerial photography and commercial use, its design, mechanical structure & construction gives a high level of precision, the control angle is within the range of ±0.05°, so pictures or video recorded will be very smooth even when the aircraft is in high-speed flights. 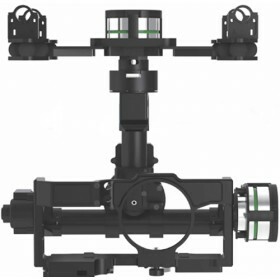 The slip rings inside the Zenmuse avoid the complicated and exposed wiring seen on other camera gimbals to the servos. 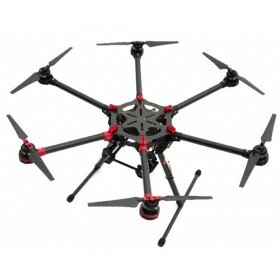 All the wires of the power and signal lines are integrated into the gimbal body, which means that the Z15 can rotate without any limitation. The yaw control could reach ±360°, the pitch control could reach ±360° and the roll control could reach ±40° (±360° mechanic continuous rotation). 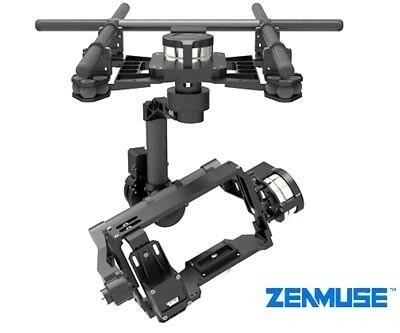 Within the Z15 Zenmuse camera gimbal you will find a DJI customized gimbal servos drive module, this meets all the control requirements of the high performance Zenmuse gimbal. 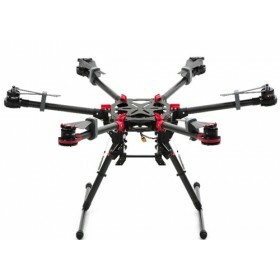 With these very high precision, low vibration, high torque servos, the DJI is an excellent combination of power and precision! While the Z15 supports most of transmitters and receivers in the market, the Futaba S-Bus receiver system is supported and it's the most user-friendly option.